For this blog post I initially wanted to take a picture with some black & white graffiti; however, when I went to the location I couldn’t find the art! 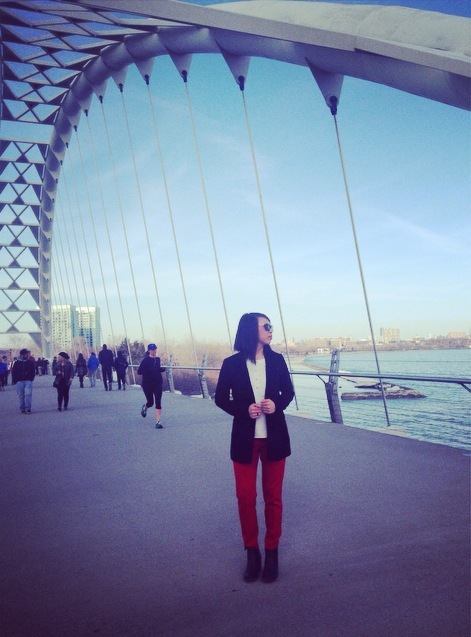 It must have been painted over or destroyed so I decided to go to another location on my bucket list – The White Bridge or actually known as ‘Humber Bay Arch Bridge’. 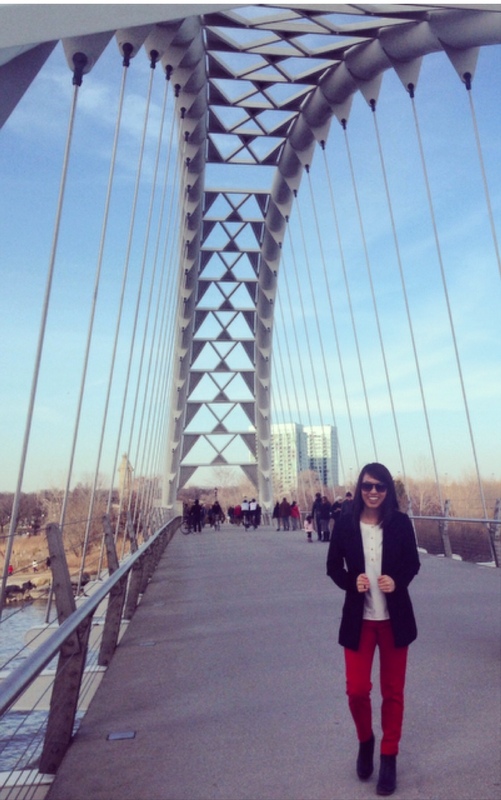 You can often see this bridge when turning off the HWY 427 to the Gardiner or vice versa. It’s architecture exudes a sense of modernism and work of art, as the structure is very unique and complemented by the white colour tone. I decided to add to this landscape with a boyfriend black blazer, a white button up silk top, and some red classic straight-leg pants. The solid tones yet classy colours add a contemporary style to the modern backdrop. 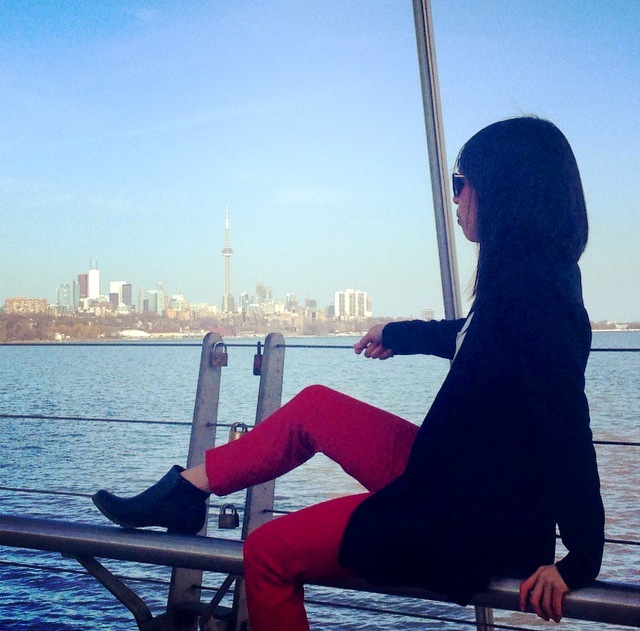 Posted in Fashion, Landscapes, Photography, SpringTagged blazer, boyfriend blazer, bridge, CN Tower, fashion, life, ootd, photography, straight leg pants, style, torontoBookmark the permalink.